PureSniff by Olfasense - St. Croix Sensory, Inc.
PureSniff II consists of two sealed tubes and allows for direct evaluation comparison tests (sample A vs. sample B). PureSniff III consists of three sealed tubes and allows for direct evaluation comparison tests (samples A vs. B vs. C), including triangle testing. PureSniff XL can be used for the direct evaluation of larger odor samples. The PureSniff system allows for the standardized presentation of undiluted odor samples. With a PureSniff device, you can conduct odor evaluations including overall intensity, hedonic tone, and odor character profiling. The PureSniff allows for in-house assessments for product development, material investigations, and QA/QC. 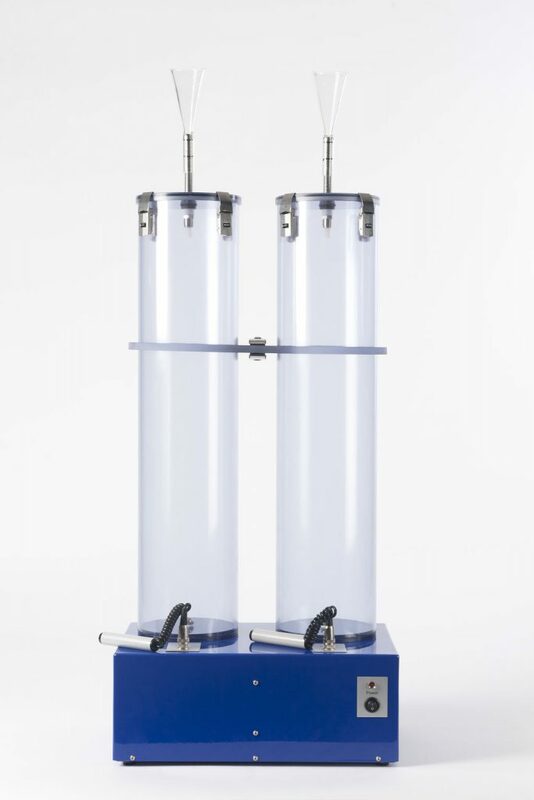 The PureSniff II consists of two sealed tubes, which are set up with gas sample bags independent of each other, allowing for individual or direct evaluation comparison tests. For example, each tube can be set up as two separate samples for evaluation or duplicates of the same sample. Alternatively, comparison tests such as paired comparison/preference or directional difference tests of A vs B can be run. The operator triggers a volume flow by activating a push-button. The odor sample is pushed out of the gas sample bag and press through a funnel (diffuser) mask to the human nose. Each olfactory assessors gets an identical odor sample with standardized volume flow and constant presentation time. As a default setting, the samples is presented for 2.5 seconds at a volume of 20-LPM. Using a 10-L gas sample bag filled to approximately 70%, one sample serves for about 10 presentations. 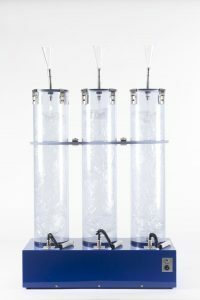 The PureSniff III consists of three sealed tubes, which are set up with gas sample bags independent of each other, allowing for individual or direct evaluation comparison tests. For example, each tube can be set up as three separate samples for evaluation or duplicate/triplicate of the same sample. Alternatively, discriminations tests of 2-3 samples can also be run. Examples include triangle tests, 3-AFC, or A – not A. 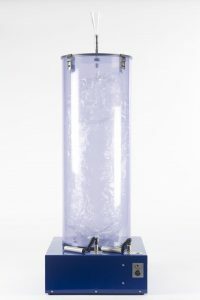 The PureSniff XL consists of one large sealed tube, which is set up with a gas sample bag, allowing for direct evaluation. Once sample is tested at a time. Up to 60-L sample bags can be used in the PureSniff XL. Inquire about compressors for the PureSniff. Sample Volume: 2 x 10-Liters max. Sample Volume: 3 x 10-Liters max.